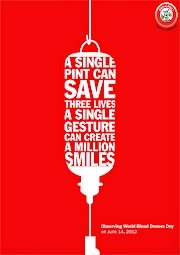 She has so much imagination, I just felt inspired by her creativity. 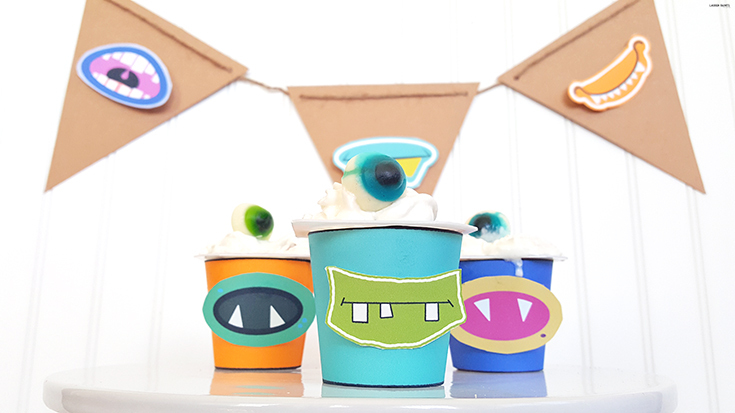 So today I'm super excited to share a fun and imaginative way for you to treat the little monsters in your family! 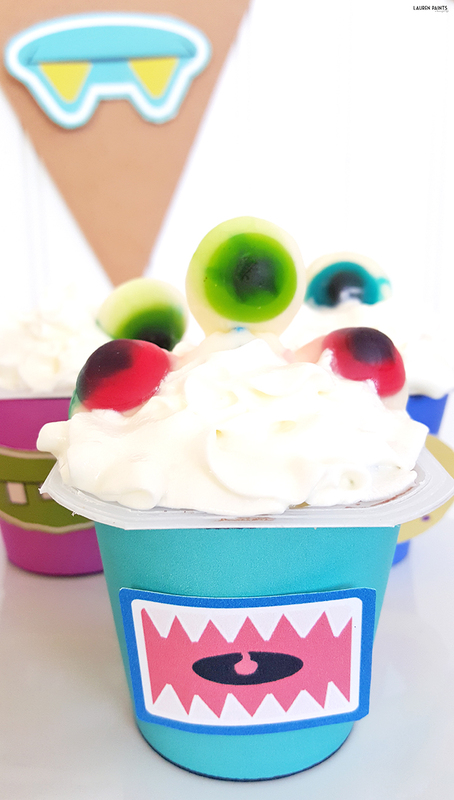 Everyone loves to laugh a little during snack time so you might as well surprise the little boys and girls in your life with a delicious little cyclops cookie monster pudding treat that will make giggles go on for hours. What do you need to make these cute little creatures? 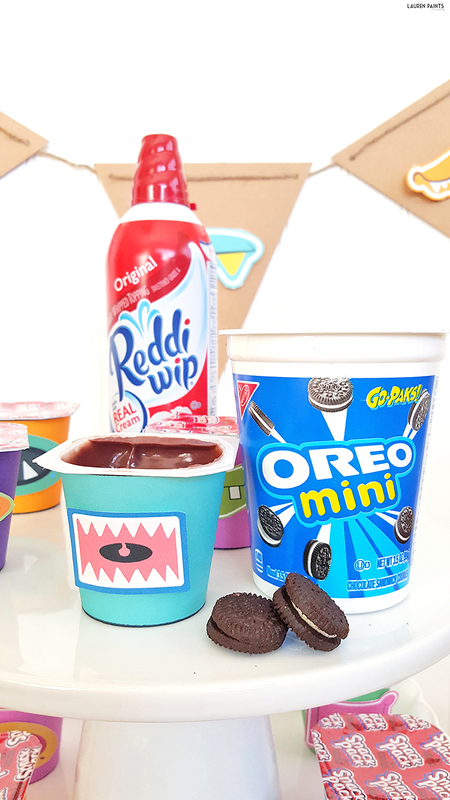 NABISCO Go-Paks! in all the best cookie varities including TEDDY GRAHAMS Honey Graham Snacks, Mini OREO Chocolate Sandwich Cookies, CHIPS AHOY! Mini Chocolate Chip Cookies, NUTTER BUTTER Bites Sandwich Cookies, and Mini OREO Golden Sandwich Cookies! 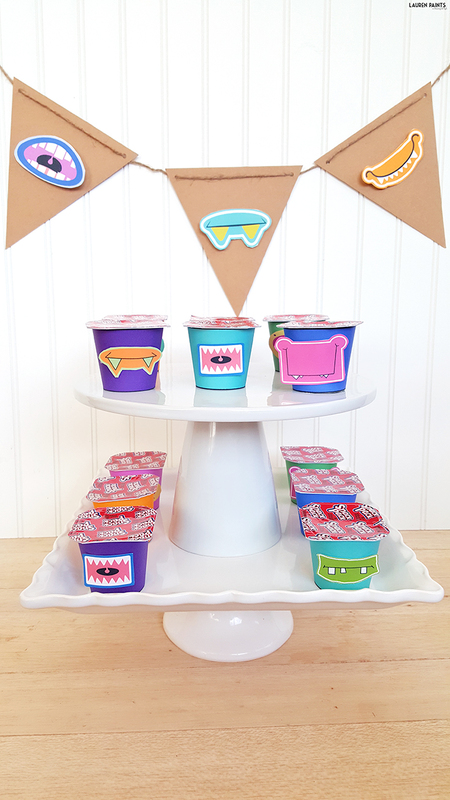 These little babies are easy to make, just print off the ghoulish grins printable here and the monster getups (pudding cup wrappers) printable here and here. 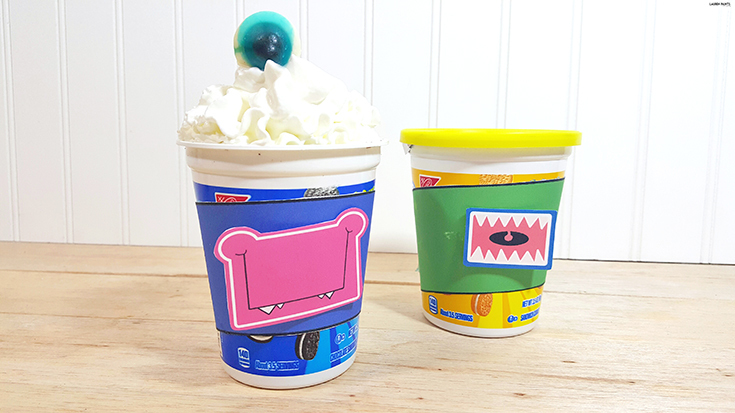 Take the time to cut all of these little grins and getups out and tape them onto the cups, have fun decorating and combining! 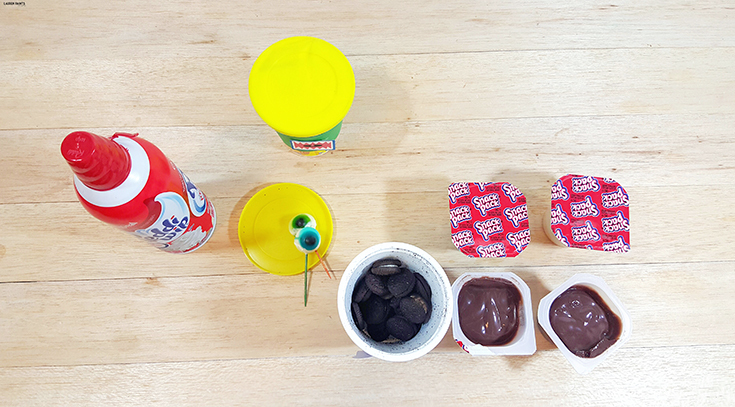 When ready to serve, add a thick layer of Go-Pak cookies to each Snack Pack pudding. 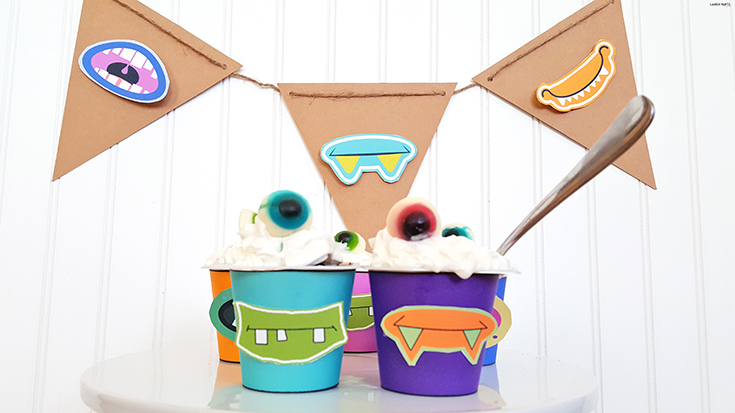 Add a swirl of Reddi Wip and top off your monster creation with a creepy cyclops eyeball or make your monster into a true freak of nature with three instead of one! 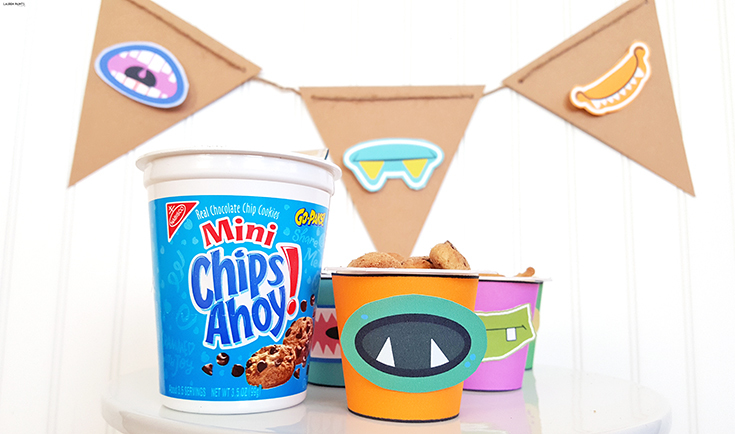 Now it's time to gobble up your cookie monsters before they get you! Enjoy! 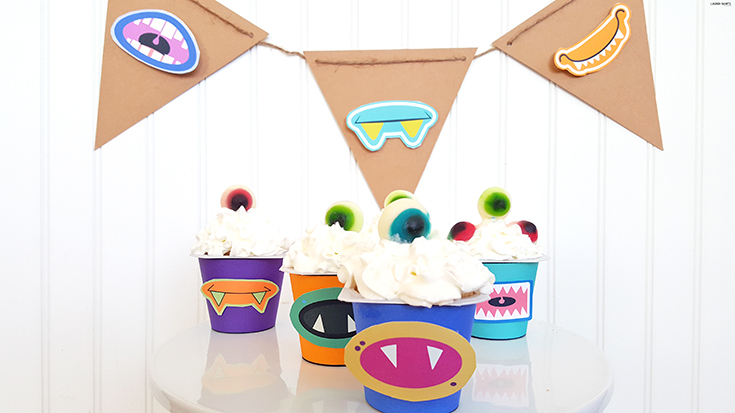 Don't you think these adorable little creatures are the perfect way to surprise a little monster in your life? 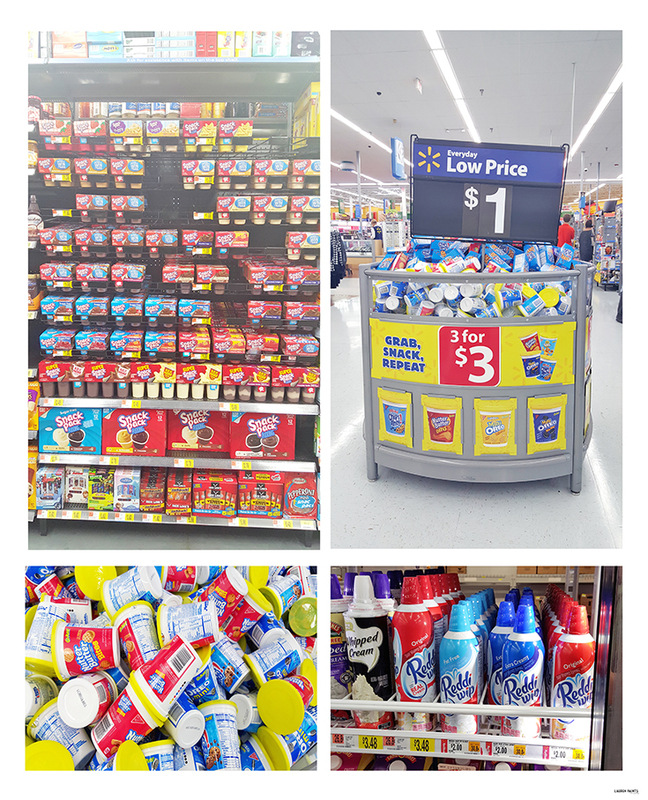 You'll be happy to find out they are a super affordable way to spread some Halloween cheer as well and you can grab everything you'll need in one quick trip to Walmart! 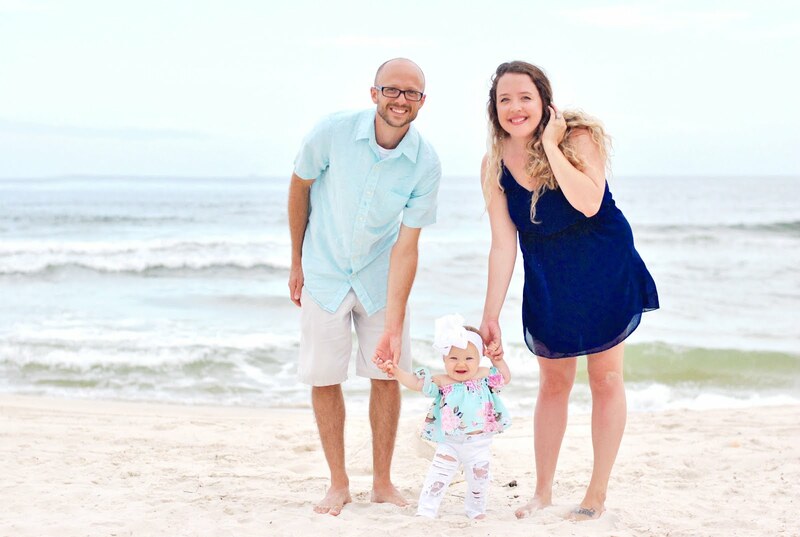 With a delicious combination of ingredients, each only costing a $1, you can't go wrong; plus, if you grab this coupon you'll really be racking in the savings! 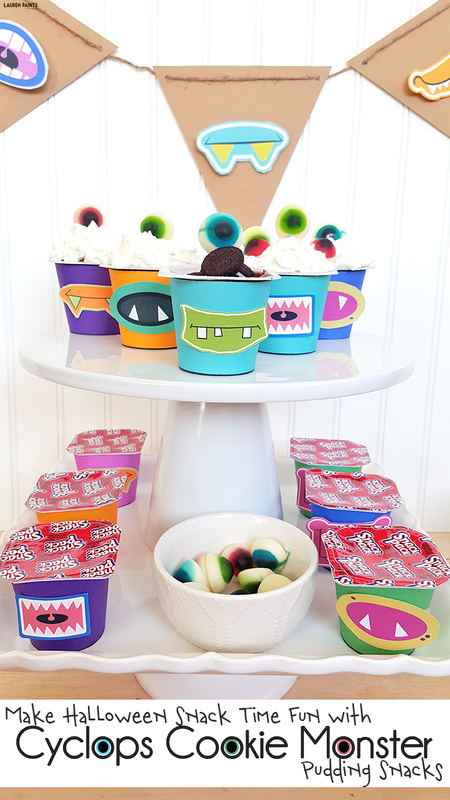 Plus these cute little creatures can be made into the perfect size by mixing two pudding cups into the Go-Pak container as well. 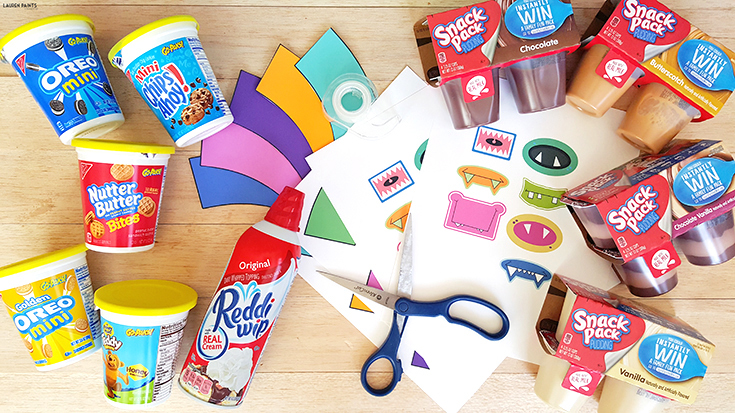 The printables fit around the NABISCO Go-Paks! 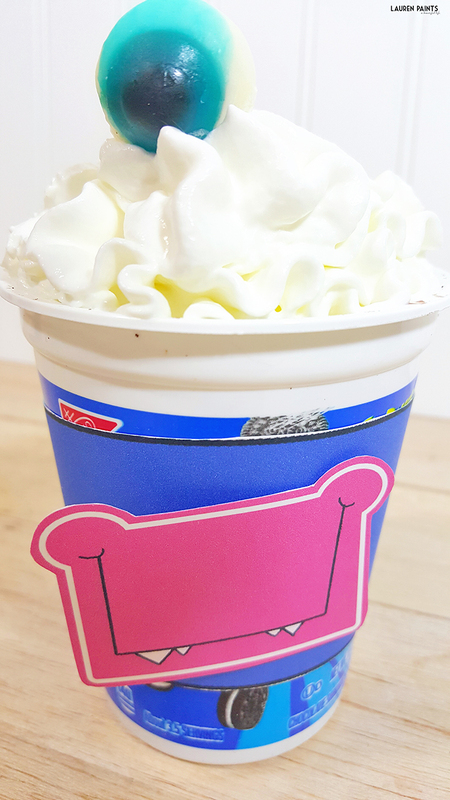 well and they still look absolutely adorable, but now you can eat even more of the deliciousness! Maybe you plan on hosting a Halloween get-together or you're a teacher with a class of 30? 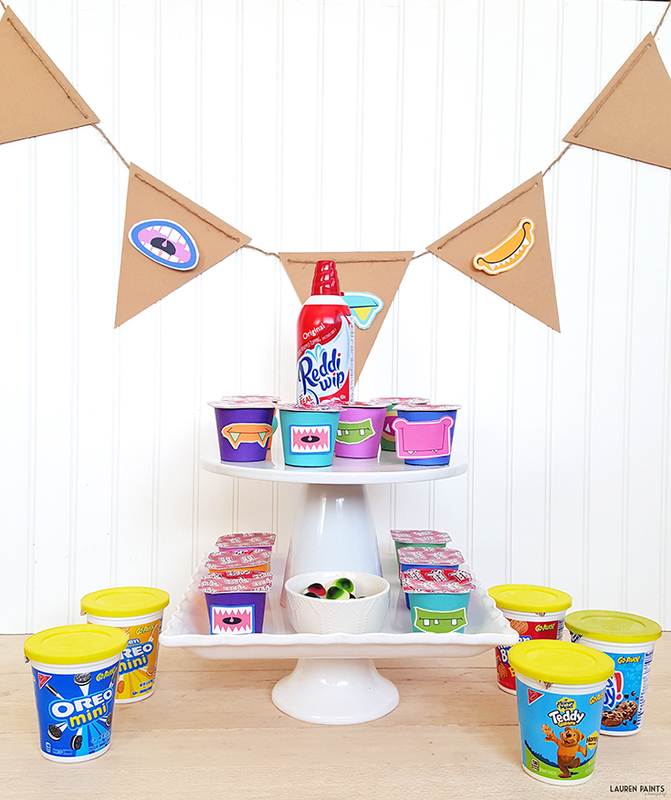 Surprise everyone with something delicious and adorable, without spending much at all! 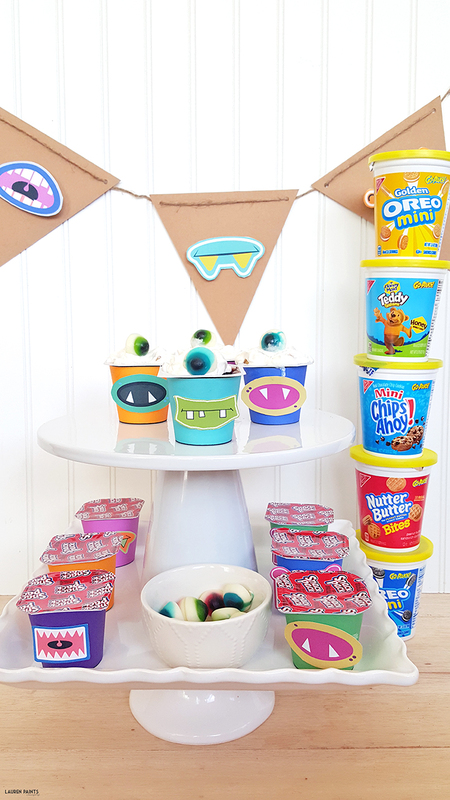 Kids of all ages will love these little monsters and since everyone will turn into a cookie monster after eating one of these delicious treats, make sure you make enough for everyone to have seconds - including yourself!